When the time comes to make the decision to move from your home to an assisted living facility, it often occurs because one person is no longer able to care for themselves and the spouse can’t handle the challenges alone. For many, it means one person leaves and the other one stays in the home. 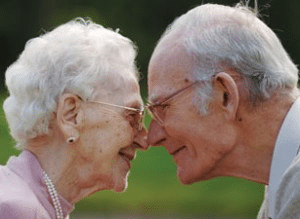 However, the benefits of couples living in assisted living together may make more sense than maintaining separate living quarters. One of the best reasons for both parties to move into assisted living together is to help them maintain their relationship. They will continue to see each other much like before. They can say good morning, go to breakfast together and enjoy the rest of the day in each other’s company. Because they don’t have the stress of living alone and managing all of the details that come with that decision, they can spend more time talking and visiting. Both people are less stressed with fewer responsibilities, and they may even find their marriage is stronger than before. It’s common to see a person begin to lose their independence and physical and mental health when they are separated from the one they love. When both people move into assisted living together, they enjoy the benefits that come from this arrangement as well as the contentment that comes from being together. The person who is healthier and more independent can encourage the other person to stay as active as possible. They may engage in activities provided by the center, such as fitness classes, social events and other programs designed to enhance the quality of life for residents. Many facilities offer multiple levels of care. For the person who is still relatively independent, the assisted living part of the center allows them to maintain their own routines and schedules in the safety of a residence designed for the elderly. For the person who requires more care, they can take advantage of the skilled care facility will provide help with medication, personal care and other assistance as needed. One of the benefits of this type of program is both people can have regular assessments to ensure they are getting the help they need. When one progresses to the point of needing additional care, they don’t have to move to a completely different facility. They can continue to live with their loved one while receiving the services necessary to keep them safe and as healthy as possible. Instead of trying to maintain a separate home as well as paying for assisted living, the couple can devote all their finances to the facility where they can be together. As people age, caring for their own home can become difficult if not impossible. An assisted living center offers reduced maintenance requirements and allows the couple to live out the rest of their lives together with fewer worries. In addition, they only pay for the services they need at the correct level of care. 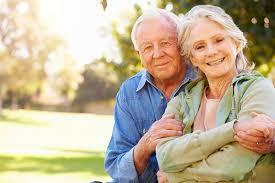 Living together in an assisted living facility can make life better for older couples. They can continue to live and love together in a place that is safe and meets their needs.